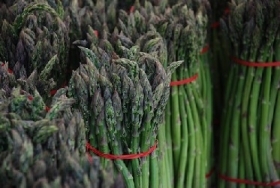 Have you made Fresh Asparagus? 1. 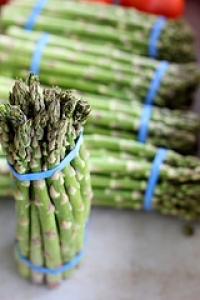 Wash asparagus spears and trim off tough ends. 2. 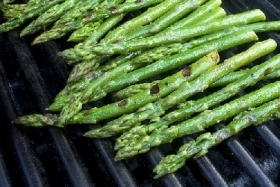 Place asparagus in boiling salted water and cook until tender, 7 to 10 minutes. 3. Drain off liquid. 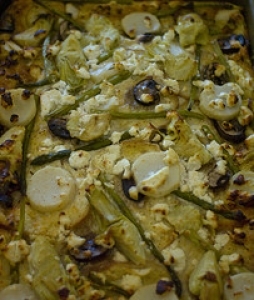 In a small saucepan, melt the butter, cook over low heat until lightly browned. 4. 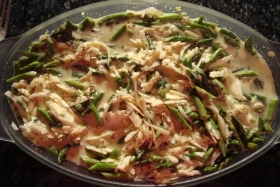 Sprinkle freshly grated cheese over butter and mix. 5. 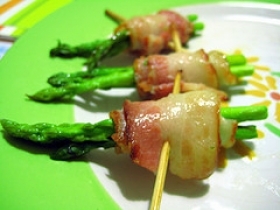 Spoon over asparagus. 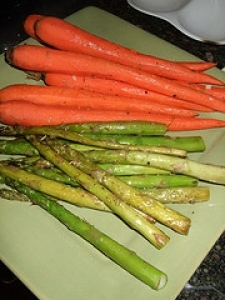 Garnish with sliced hard boiled egg. 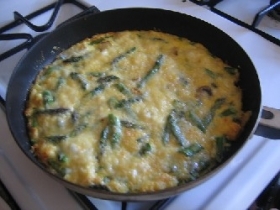 This recipe contains potential food allergens and will effect people with Egg, Butter, MSG, Cheese, Asparagus allergies.